“Made in Australia” are words we don’t often see on products these days, especially skin care products. Defying this trend is Sasy n Savy, an Australian owned company that manufactures native Australian natural skin care and wellbeing products. They utilise the healing and nutrient benefits of Australian plants, herbs and flower extracts. 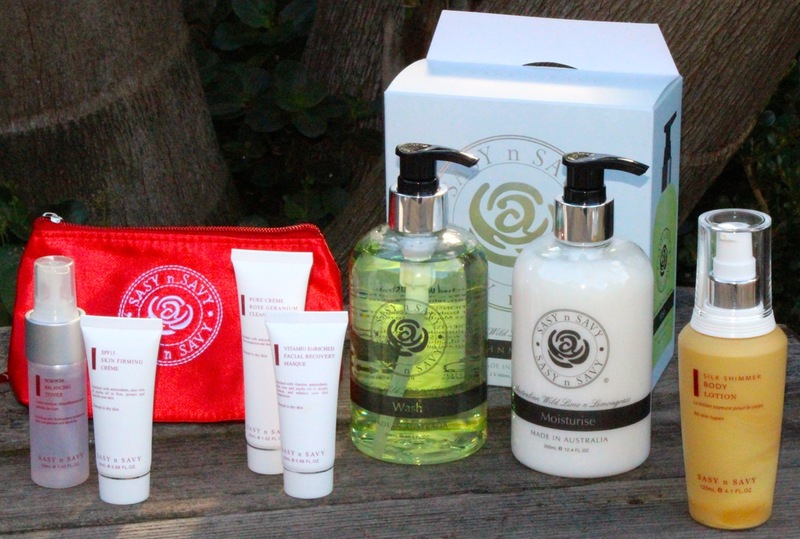 Sasy n Savy’s extensive range of products for the face, body, hair and general wellbeing are derived from 100% natural Australian sources that are not only high in nutrients but vitamins and antioxidants, all necessary for healthy skin cell growth. They create products which are safe, effective and gentle, that care for your skin as well as the environment. The four ingredients holding the key to the Sasy n Savy difference are Kakadu Plum, the highest source of Vitamin C in the world which helps stimulate production of elastin and collagen,Bearberry Leaf which acts as a strong antioxidant,Wild Rosella Flower, high in natural protein and nutrients to revive the skin andAustralian Essential Oil with a range of therapeutic benefits. There are no harmful chemicals, colors, preservatives or synthetic ingredients in their products, which are formulated without animal testing or animal ingredients. Sasy n Savy have launched tours to their new Miranda showroom, where visitors not only see how the products are made, but can experience the thrill of making their own with all natural Australian ingredients. The day I went on the tour, we were shown how to make our own jar of bath salts, scented with our choice of essential oils. Sasy n Savy pride themselves on the fact that their products all carry the “Made in Australia” label. This entry was posted on Monday, July 7th, 2014 at 9:30 am and is filed under Uncategorized. You can follow any responses to this entry through the RSS 2.0 feed. You can leave a response, or trackback from your own site.